New Siege Figures Revealed - G2 Sideswipe, Slamdance, Skywarp and More! 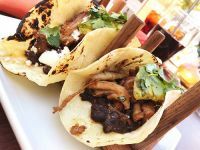 BBTS News! Marvel Legends, One:12 Moon Knight, Shazam, Freddy, Dragon Ball, Batman, Mai Shiranui, Persona & More! TFW2005 friend and sponsor Big Bad Toy Store brings you their newsletter for this week. See the highlights below and then read on for the complete listing! Via 爆料人小明 on Weibo and Trans Fans Facebook we have our first look at the new Movable Metal Arts IDW Optimus Prime Prototype. New 3P Company Movable Metal Arts (MMA) is bringing a very nice rendition of the Autobot Leader as seen in the first IDW comics. The prototype reveals a very detailed and highly poseable figure with a Matrix chamber on his chest and a wide range of movement. From the looks of it, the mold seems non transformable. There’s still not concrete information about material, scale, price or release date, but stay tuned with TFW2005 for more information once it’s available. Click on the bar to see all the images and then sound off on the 2005 Boards! Transformers Generations – Colored pictures of Star Convoy (remold of Power Of The Primes Evolution Optimus Prime), a clear image of Turtler (G1 Snaptrap) Prototype, and a colored picture of Smokescreen for the Japanese market. Smokescreen seems to have no discernible differences compared to the Hasbro release. Transformers Cyberverse – Another press release about the premiere of the series and toys for the Japanese market. More information about it on our previous news post. War For Cybertron: Siege – Colored images of Wave 7 (for the Japanese market) SG-29 Autobot Smashdown, SG-30 Decepticon Blackjack & Hyperdrive, SG-31 Red Alert and SG-32 Autobot Springer. Takara Tomy has announced that they will attend the upcoming Shizouka Hobby Show 2019. The confirmation surfaced via Takara Tomy Twitter, they will be showing products of their main brands like Transformers (of course), Diaclone and Zoids. 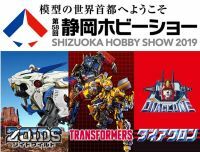 The 58th edition of Shizuoka Hobby Show will be held from May 11, 2019 to Saturday May 12, 2019 in Shizuoka, Japan. There’s still not much information available, but it’s probable we may see some prototypes or new molds (keep your fingers crossed) for upcoming products. In the meantime, it’s time to speculate! What would you like to see at the event? Let us know on the 2005 Boards! And the Siege rain continues over the world. 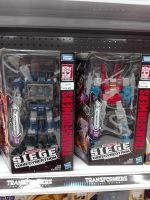 Following our reports of Siege Wave 2 Voyager class figures in Malaysia and the UK, now via Transformers Colombia, we can report our first sighting of Siege Wave 2 Voyager class toys in Colombia, together with Wave 2 Micromasters. Siege Voyager Starscream and Soundwave, and Micromasters Laserbeak & Ravage (Soundwave Spy Patrol) and Red Heat & Stakeout (Rescue Patrol) were spotted at Pepe Ganga in Bucaramanga. Voyagers are priced 124.900 Pesos ($39.10) and Micromasters can be found for 49.900 ($15.62). We hope Siege toys will surface in other South American countries any time soon. Happy hunting, one and all! While you might find reasons to flip them back to alt mode, these characters mostly just ask to be flipped once per game, letting you spend your flip economy elsewhere. Each character that starts with a “signature” card is featured on that cards artwork. Wave 1 (when applicable) and in the new Siege set. Each character’s bot mode ability synergizes with their signature card. If you fulfill your Brainstorm you’ll get a free draw from Wheeljack, Ratchet will buff his attack, Trailbreaker will have Brave, and Ultra Magnus will prevent the spread damage he does to himself. Read Matt’s full column here for additional details about the design process, then join in the discussion on the 2005 boards! This is kind of a surprising release. La Nacion Colecciones Facebook (part of La Nacion newspaper in Argentina) has announced the release of an officially licensed DOTM Bumblebee Replica (38 cm tall) for the Argentinian Market. According to the information shared by El Rincón del Coleccionista Argentino On Facebook it will be sold in a “collect & build” format. Starting this Friday April 26, the first of 30 parts will be released. Then, a new part will be available every 15 days. Each part will include pieces for the robot replica (a hand, one foot, head, chest, back, etc) plus a small book. The replica is announced as an officially licensed Hasbro product and it will include die-cast parts and “several articulation points”. non-transformable. First volume will have a promotional price of 99.90 Pesos Argentinos or $2.36. Second volume will be 199.90 Pesos or $4.71. The rest of the collection will be 299.90 Pesos or $7.07. In the end, it will cost not-so-economic $205.03, so we hope this figure is really great quality. Check the promotional video below and then sound off on the 2005 Boards! Several Japanese websites like: Oricon, Mantan-Web, MyNavi, Animatetimes, Startt.jp, and Hobby Dengeki have shared the official press release about the debut of Transformers: Cyberverse in Japan. The latest Transformers series will be distributed via Takara Tomy YouTube Channel, Bonbon TV and Kids Bonbon starting on Saturday April 27, 2019. The first four episodes will be aired the aforementioned date, and then 2 new episodes will be delivered every second and fourth Saturday each month. Windblade – Aoi Yuuki – She was the voice of the evil Decepticon Shatter in the Bumblebee Movie. Grimlock – Tetsu Inada – Budora in Transformers Go! Starscream – Satoshi Tsuruoka – Well known in Japan as Transformers Prime Starscream. Bumblebee – Ryohei Kimura – He has been Bumblebee’s voice in several shows and games: Q-Transformers, Transformers Adventure (RID), Bumblebee in the Bumblebee Movie and, curiously, the voice of Charlie Watson in the short and fun Bumblebee anime clips. Optimus Prime – Takehito Koyasu – A veteran voice actor who played Beast Convoy (Optimus Primal) in both Beast Wars and Beast Machines. Megatron – Shigeru Chiba – Another veteran voice who Japanese fans know as the voice of Beast Megatron. Click on the bar to see the promotional images on this news post and then share your impressions on the 2005 Boards! Via ITunes we can share for you the 3-page preview of IDW’s new Transformers Comic Series Issue #4. We get some action pages this time featuring Chromia, Windblade, Cyclonus and new character Geomotus. The story continues around the previous death of an Autobot scientist. The new Transformers issue #4 is expected for release on April, so it may hit comic stores in the next days. Click on the bar to see the mirrored images on this news post, and then share your impressions on the 2005 Boards!